Excellent service. Friendly, personal interest and clear explanation and diagnosis of problem and remedy. I did not have to wait. There were clear instructions everywhere. The staff explained everything they were doing and the doctor listened. Great experience overall. Dr Bayes saw me so quickly I didn’t even have my paperwork finished. He made a quick but thorough diagnosis and suggested a conservative and affordable care plan. I was on my way in less than an hour. The procedure was somewhat painful, but it was worth it. I noticed great improvement after a week. Awesome!!! Staff is very caring. Dr Bayes makes the treatment very tolerable. Great bedside manner and funny. 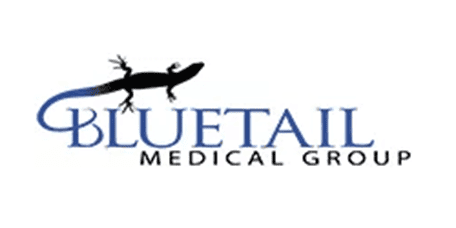 Highly recommend Bluetail. Please try stem cell before going under the knife! It is a miracle! Always friendly , informative, and through. Dr. Bates was professional and reassuring in regard to my recovery from hip procedure. Dr. Oliver and her team are top notch! Dr. Oliver is kind, compassionate and very knowledgeable. She has performed stem cell on my mother and sister's knees and PRP on both my wrist and broken toe. I absolutely adore her and feel fortunate to have such an advanced procedure available in the state of Missouri. She is ahead of her time and should be considered the best in the state. My family is very thankful for Dr. Kristin Oliver and we so are all of the patients we have sent to her office! Kind,understanding and very helpful. Quick to get in. Doctor Crane and his RN are compassionate and caring. Very knowledgeable and ready to resolve the issues at hand promptly.